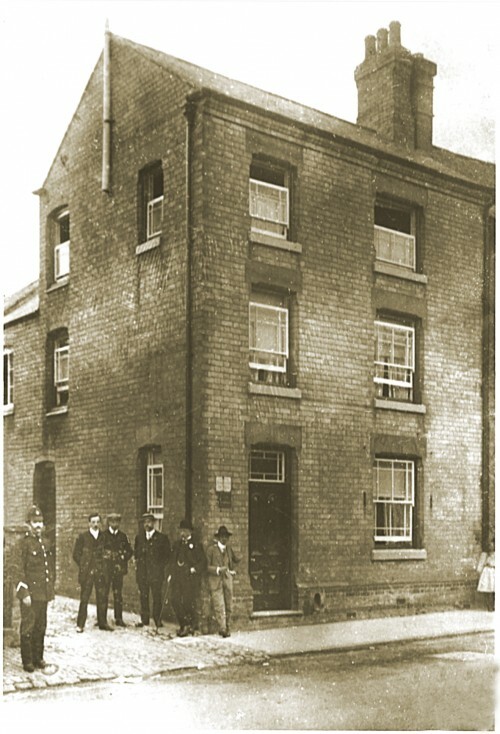 The original building at 40 Station Road was at its earliest known date owned by John Cook in 1765. It was a dwelling house with a barn at the back. Cook sold it in 1787 to Thomas Bradshaw, framework knitter, who converted the rear barn to a hosiery factory. By 1875 the building was a bakehouse owned by William Webster who then demolished it and built the the Havelock Coffee House in its place. This had a club room and cart shed attached. In 1910 it was sold to Edward Warner, John Davys Cradock and George White for use as a club. In 1920 they sold it to David Hack, Henry Judd and William Hollingsworth who became Trustees on behalf of the Quorn Conservative Association, which had been in existence since 1912. The Club was enlarged in 1972 when no 42 was purchased and altered, the upstairs function room and the Latham Room were added in 1979 and 1980. The group of buildings in which 40/42 Station Road stands was at one time known as 'Chancery House'. The skittle alley was once the village library.